The experiences of 1968 show us that it is possible to organize against racism as part of the structure of American capitalism — and to join together projects of street protest, popular education, workplace struggle, and political organization. Asad Haider's new book Mistaken Identity: Race and Class in the Age of Trump is on sale for 40% off until Sunday, May 27 at 11:59pm EST. In March 1968, J. Edgar Hoover stated in an FBI memo that the goal of its "Counter Intelligence Program," or COINTELPRO, was to prevent the rise of "messiah" who could “unify, and electrify, the militant black nationalist movement.” Since Malcolm X was already dead, the remaining candidates were Elijah Muhammed, whom Hoover considered too old to be a threat; Martin Luther King, who would be assassinated the next month; and Stokely Carmichael, who would split with the Black Panther Party and leave for Africa the following year. Those of us who are familiar with the history of COINTELPRO, which involved the infiltration and illegal surveillance of activists in the civil rights and Black Power movements, and the murder of Black Panther leader Fred Hampton, can only react with dismay when the former director of the FBI is celebrated today simply for the rather ordinary trait, which he shares with countless reality TV contestants, of having been fired by Donald Trump. As recently as last year, the FBI carried on this tradition by inventing the category of “Black Identity Extremist,” as a way of criminalizing Black Lives Matter activists. Since the FBI clearly learns from its history, so should we. While Americans certainly cannot ignore the elections to come — replacing our sociopathic president with a more commonplace politician could make a difference in the lifespan of the human species — we could learn a thing or two from the rebellious spirit of the Paris youth, and from rebels closer to home. What happened in Paris is widely known, but this was not the only wildcat strike taking place fifty years ago. On May 2, 1968, 4,000 auto workers at the Dodge Main automobile factory in Detroit went on a wildcat strike that shut down the whole plant. Radical black autoworkers had been organizing since the riot of the previous year, known as the “Great Rebellion,” producing a newspaper called Inner City Voice, organizing reading groups around Karl Marx’s Capital. These black radicals confronted not only their exploitation by management, but also the racism of the official union, the United Auto Workers, whose leadership was mostly white. Following the wildcat strike, the organizers and editors of Inner City Voice launched the Dodge Revolutionary Union Movement (DRUM). 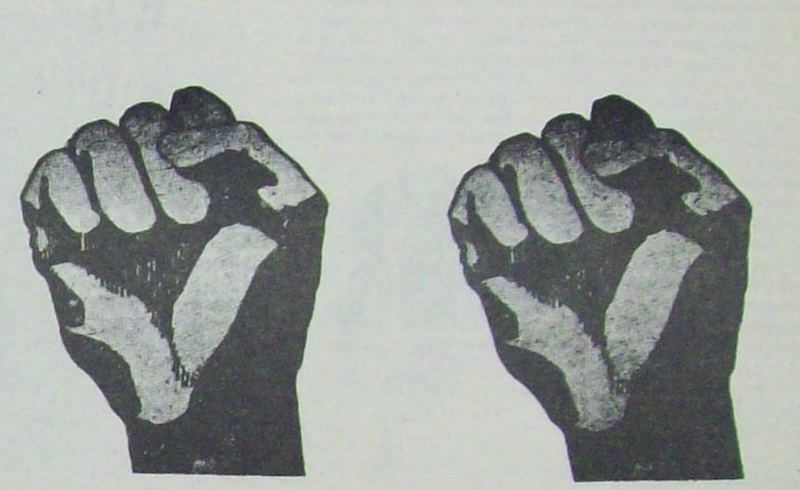 Revolutionary Union Movements popped up at other factories, and in 1969 the League of Revolutionary Black Workers (LRBW) would be founded to bring their struggles together. The experience of the Obama presidency has led many on the left to see “integrated capitalism” as a victory. The fact that the Black Lives Matter movement arose in this supposedly “post-racial” climate, and brought mainstream attention to the persistence of racist state violence, should lead us to remember these hidden histories. The experiences of 1968 show us that it is possible to put forward an analysis of racism not as some kind of inherent property of white people’s minds, but part of the structure of American capitalism, which reinforced the exploitation of everyone. And it is also possible to join together projects of street protest, popular education, workplace struggle, and political organization. The state’s attempt to crush these movements had considerable success. Both the Black Panther Party and the League would begin to splinter in the years following, and ran up against strategic limits that prevented them from realizing their goals. But the experience of the 60s had taught them, from bitter experience, that no positive change comes from the state unless it is pressured from below — unless it is threatened by organized, militant, and grassroots rebellion. As we strategize our responses to Trump in 2018, let’s revive the spirit of 68.